Gerhardts TESB was a nice expansion at the time to the 1 disc OST. Some sloppy playing, e.g. the hectic asteroid field. Gerhardts ROTJ is strange since one of the few expanded areas is The Ewok Battle which is the film version of The Forest Battle, which is also on the disc. Choosing this repetition instead of anything other out of close to 2 h of unreleased music was mind boggling. On the other hand I like the orchestral version of YubYub. Kojian is nice, good recording quality. Some tracks are a bit slow. Again, the few expansions are not those I would have chosen, but so what. When I bought it in 1988 I was happy for every additional bit of music and played it quite often. Skywalker recording is a nice round package of the concert suites, played well, although a bit slow sometimes. Don't like the electronic sounding Cantina band. I find the playing there to be quite good! There are so many blown notes in the brass. Why they were never addressed during the recording of the album is a mystery. A few inserts here and there and this album would have been a masterpiece! Agreed, its a first rate album. So many? I really can't recall that. Are you sure you're not mixing it up with Gerhardt's Jedi - that has lots of faults! I don't have the Mehta release, but the others all get 5s from me. If Mehta released an album that was just a big "Access Restricted," I give it a 0! My favorite Star Wars rerecording is the Pops compilation from the 1990s that has all of Williams' concert arrangements from the Star Wars trilogy, plus Superman, ET, and Close Encounters. Why didn't you include this one? Oh my bad...didn't see it there. Sorry. I didn't include that because it's a compilation, but you're still allowed to like it! Gerhardt's Empire is the best, both for performance and for the variety of content in the program. His recording of the Main Title crawl is my favorite re-recording of that piece. And this album contains the definitive recording of Han Solo & The Princess. My one and only nitpick with this album would be the End Titles, wish he'd have recorded The Rebel Fleet music that leads into the credits too. Agree about everything! I also love the Kojian album. I don't have the Mehta, nor do I think I've ever listened to it. But all the others are 4, except Kojian, which is 5. Yes, I'm talking about Empire, where the brass is completely out to lunch on a bunch of cues... those squawks at 1:58 of "Luke's First Crash" or 2:00 into "The Rebels Escape Again" are brutal. And there are plenty of other moments where they are flat, understated or can't even hit the proper pitch. I love the Jedi album. Beside the Kojian album, which is BRILLIANT recorded, no one beats a K.E. Wilkinson recording. And while there are a few flaws there aren't as many as in Empire, which just sounded rushed. I think Jedi sounds under-rehearsed. Epecially the tuba solo in Jabba the Hut, which is outright grating to listen to. What do you think about Gerhardt's SW / CE3K album? I love the Jedi album. I think the conducting on the Jabba The Hunt suite could have been sped up a bit and yes, when the tuba player has to hit those higher note there's a bit of a struggle. But there is just so much life and energy in the rest of the recording. However, in "Return of the Jedi" like in the Empire Strikes Back recording have a few squawky trumpets... not sure why they were never addressed... but "Into The Trap: Fight In The Dungeon" is superb. And what a unique arrangement that piece is. The transition from Into The Trap to Dungeon is great and the pops finale of the piece is unreal! I'd love to hear that in concert! As for the SW/CE3K album. There's are a lot of issue with the conducting of the Star Wars suite, but the Close Encounters suite might very well be the best re-recorded suite of anything I've ever heard other than McNeely's Vertigo. Close Encounters has never sounded better! I don't think it's just the tubaist's highs that are bad; his timing is just very off - like he's playing in a bigger league than he's qualified to. I do have a soft spot for Gerhardt's Final Battle. It's indeed great - certainly the highlight of the album! "Into﻿ The Trap: Fight In The Dungeon" is superb. 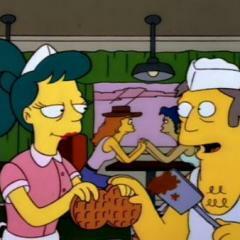 And what﻿ a unique arrangement that piece is. The transition from Into The Trap to Dungeon is great and the pops finale of the piece is unreal! I'd love to hear that in concert! Now I'll have to listen to that again! I'm guessing you find the recording of Kamen's Robin Hood really annoying. It did at the London concert last year. Best version I've ever heard outside the original recording itself. Too bad there's no recording of the concert. You do know they played a completely different suite in London than the one on the SW/CE3K album, Thor? I prefer Gerhardt's re-recordings to JW's original ones because they sound like crap. I find the Skywalker album lacking in energy, joyfulness and speed. Boston Pops is way better. Unfamiliar with the other albums. The only one I didn't give a perfect score was the John Williams Conducts John Williams album. I only knocked off one point (I was probably being generous) because this album is a collection of a lot of music we've heard many times before and aside from a couple standout renditions, it's kind of unnecessary. As for the others, they're all worthy. They are all stellar performances and recordings (LA Philharmonic is the best IMO) of definitive JW music and there are also two great renditions of the Close Encounters ending as part of the package. Gerhardt's trilogy is legendary and I have probably listened to Empire more than the original recordings. I have probably listened to Empire more than the original recordings﻿﻿. Pretty close, i wager. I had the Gerhardt first. Yeah, I know. I was talking about the sound and performance of the material. I've never heard anything as good in a live or rerecording setting before. Great, but you are comparing apples to oranges. We aren't talking about live performances here. Jeez. Gerhardt must have really liked the Ewok battle. Both the film and concert versions are on the RotJ album. 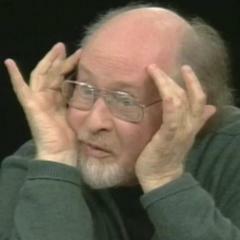 "John Williams Conducts John Williams" is clearly underrated. It's a re-recording done by JW himself!!! It's a must!!! One the first CD I bought in my life. I always cherished that album. Yes, it´s a head scratcher , isn't it? With all the available unreleased material at the time…. This pretty much sums up my feelings on this topic. Although not asked, I would like to add that Gerhardt's CE3K suite is magnificent. I prefer parts of it to the OST, especially the more weighty choral performance. I would consider it definitive. Perhaps thats why this particular suite hasnt been recorded more! It should be performed more*, not only in film music concerts, but also in regular classical concerts. *Has it been performed in concert at all? I guess @Miguel Andrade would know, or @Ricard. The shorter version we're more familiar with is probably a lot easier to program in film music concerts. Agreed, but Gerhardt's extended suite fits better alongside the classical evergreens. It's like a grand tone poem. To my knowledge, the Gerhardt recorded suite from Close Encounters has never been performed live. Williams original version of the suite, as recorded by Mehta is still occasionally performed, most recently under the batons of Simone Pedroni and Stephane Deneve, but the shorter, 7 minute long suite seems to be the default one for concert performance. A pity as I've always felt that the big romantic finale really works after you do your journey from atonality into the rousing fanfares. 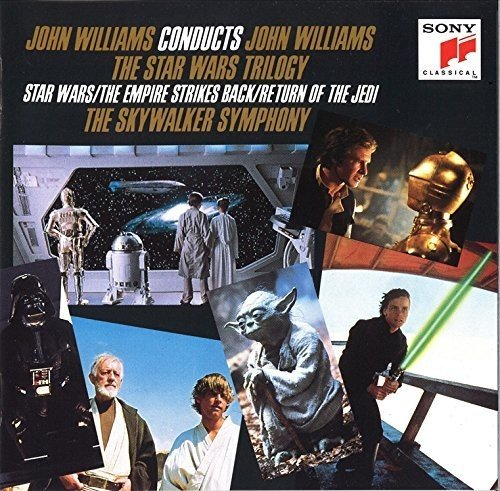 I like the sound of the recording on the trilogy recording Williams did with the Skywalker Symphony Orchestra, but it's mainly a "best of" track arrangement. I wish re-recordings were still trendy, I would like to have one for Williams' sequel trilogy with the LSO or the Chicago Symphony Orchestra. It seems we have a winner; Kojian's The Star Wars Trilogy, with Gerhardt's The Empire Strikes Back a close second. It is a really great album! It is! For me, it's a tie with Gerhardt's Empire.